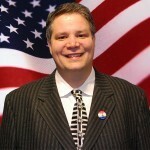 All Posts Tagged With: "Dr. Patrick Bertroche"
This Friday, Pat Bertroche, whom we have mentioned here before as a Republican candidate for 3rd District US House from Iowa, will make his formal announcement of candidacy. Pat will make his announcement at the corner of East 14th Street and Euclid in Des Moines where Younkers once had a store. I had the opportunity to speak with Pat in August while Leonard Boswell was running a farce of a town meeting in Sigourney. As with Dave Funk, Pat seems to share many of the same conservative passions that many of us do for both addressing our fiscal mess by reducing the size of government, and some of the key social issues that have been problematic, abortion being one of them.